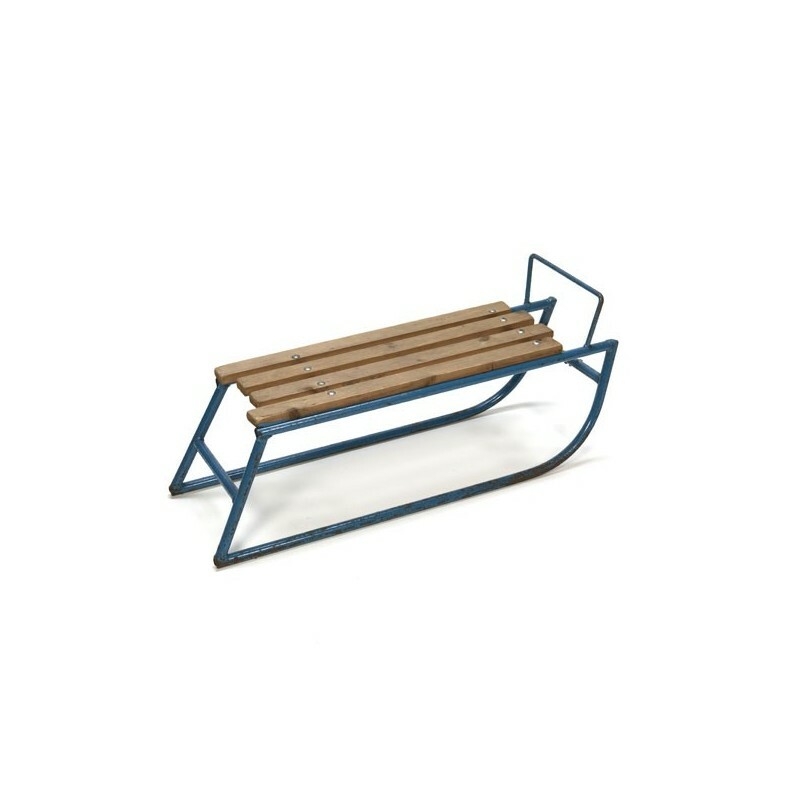 Vintage sled from the fifties / sixties with a blue metal frame and wooden seat. The condition is good considering the age, it is clearly seen that the sled is used on the frame. The dimension is 76.5 cm L / SH 27 cm / 26 cm W.